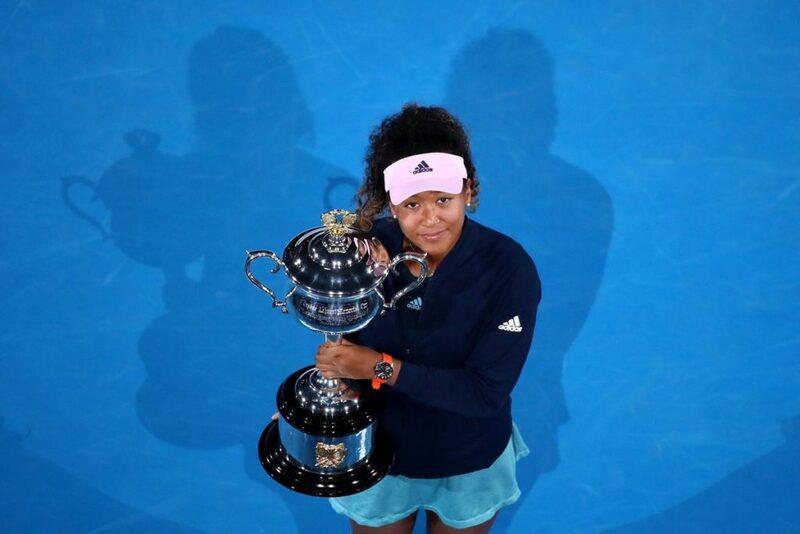 Naomi Osaka claimed her second consecutive Grand Slam title and became the world’s No 1 in the process after defeating Petra Kvitova 7-6(2), 5-7, 6-4 on Saturday. In a high-quality affair, Osaka missed three consecutive match points in the second set and seemed on the brink of unravelling before re-focusing to break Kvitova’s heart. After the bittersweet experience of winning last year’s US Open title in the fallout of Serena Williams’ outburst, Osaka experienced a truly joyous moment at the Rod Laver Arena. The Japanese became the first player to win two consecutive Grand Slam trophies since Serena Williams in 2015, and the first player to back up her maiden major title at the very next Slam since Jennifer Capriati won the Australian and French Opens back in 2001. It has been quite a year for the new World No 1, as she was ranked 72nd a mere 12 months ago. Kvitova had quite a time herself, playing in her first Grand Slam final since suffering an horrific knife attack in her own home in December 2016, which left her requiring extensive surgery to save her left hand. She had hoped to complete a fairytale comeback by lifting the title, a win which would have given her that No 1 spot. It was a tense affair throughout, both women hammering the ball from the baseline and rushing their opponent from the first strike. Having taken the first set in a tie-break, Osaka looked to be cruising to a straight-sets victory, but she squandered three championship points on Kvitova’s serve while leading 5-4 in the second. She lost the next three games as well as Kvitova levelled the match at one set apiece. Osaka got the only break of the third in the third game, a lead she never surrendered on her way to claiming her first Australian Open title.